There is so much going on in the world that is depressing that I decided to write this week about something very fun — food in a great setting. I drove to Manhattan in the pouring rain (not recommended) to pick up the grandcats who were coming to have a vacation in D.C. while their parents were relaxing in Italy. So to celebrate the downpour pausing for a few hours, we went to a long-time favorite, Balthazar’s, open since 1997. It truly is like stepping into Paris with its smells and sounds. A big open space brasserie that serves traditional brasserie food: escargots, duck confit, steak and frites, rotisserie chicken, French onion soup, frisée salad, fresh beet salad with crème brûlée, chocolate mousse and profiteroles for dessert to name a few of the items. Keith McNally has kept it at its level of excellence for a brasserie and consequently it is still packed every night. 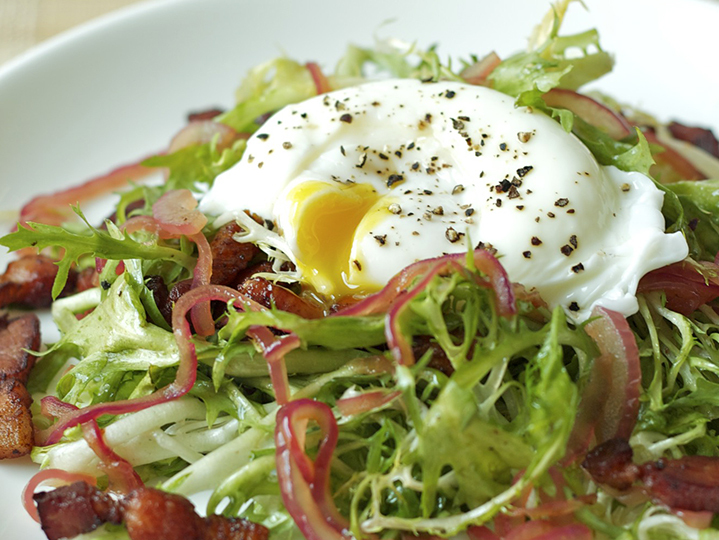 This trip we opted for the frisée salad which was filled with perfectly done lardons, croutons, and topped with a poached egg which was cooked to perfection – runny yolk, but cooked white. Then we followed with steak frites. This is one of the few places that instead of ordering my meat rare I go with the chef’s recommendation of medium rare. It is truly the French definition of the meat temperature – not some version that really is medium. There was so much food that we had leftovers for the dog, who greatly appreciated the treat. We split an order of profiteroles and left totally ecstatic once again. The bar at Balthazar’s is wonderful and stocks plenty of single malt scotches and specialty bourbons. And, of course, they have a wonderful wine cellar of French wines, which makes anyone happy when combined with steak frites. 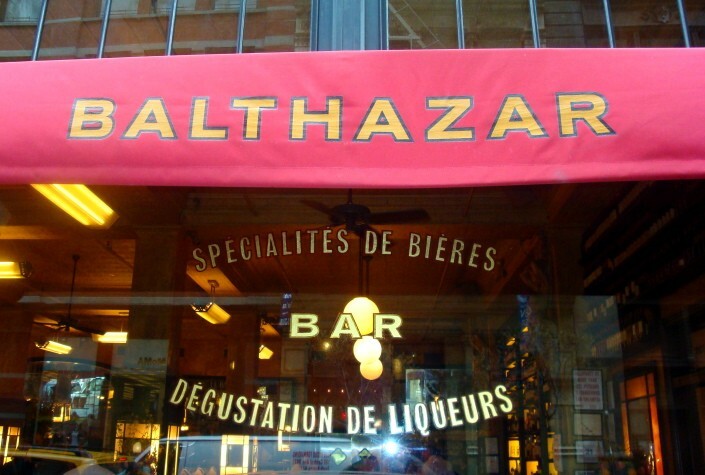 If you are in Manhattan and can get a reservation, go to Balthazar where you will believe for a few hours that you are relaxing in Paris. This entry was posted in Author Commentary and tagged 007, Balthazar NYC, food and drink, food and drink in NYC, foodie, French food, Manhattan, New York food, NYC, Paris food. Bookmark the permalink. Couldn’t agree more…very civilized place.